In the age of viral photos and social media, those hoping to satisfy their craving for staying on trend can go awry when they don't possess the proper knowledge needed before trying a product. We feel the itch of curiosity for a new look, but when budget factors in many seek to go the most affordable, cost-effective route. Boxed, store-bought hair dye has always been an accessible route for young people who don't have the resources to book an appointment with a professional colorist, which brings me to the latest public visual to bring light to the dangers: Tylah Durie. 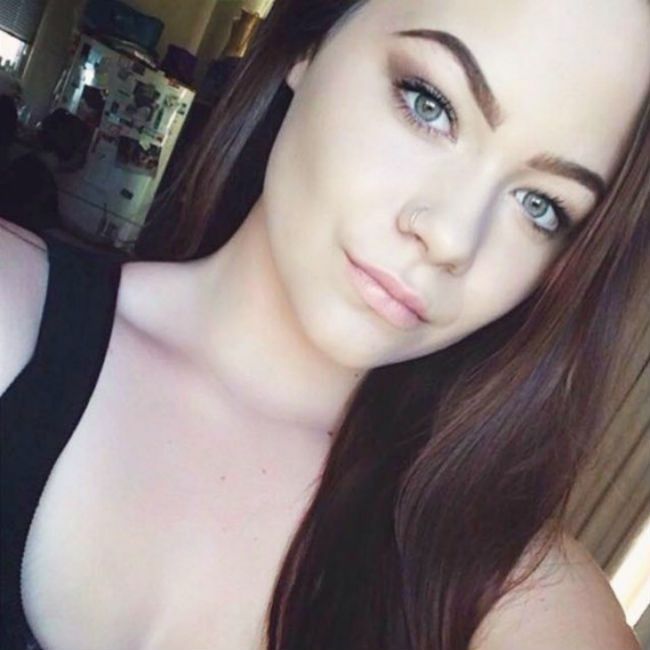 The Australian 16-year-old was hospitalized this week after attempting to tint her eyebrow hair and lashes at home, which gave her severe chemical burns to her eyeballs as well as an extreme allergic reaction to her face and eyelids. 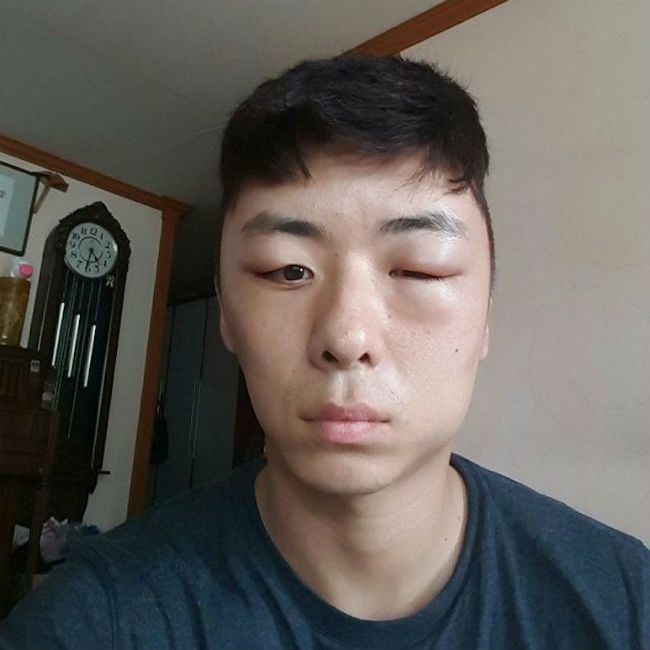 Back in August the internet went crazy for the "Chillest Korean Dude Ever," who documented his horrible salon coloring experience in an unfortunate string of images which showed the world an allergic reaction literally ballooning, right before our eyes. 1. Always do a patch test. 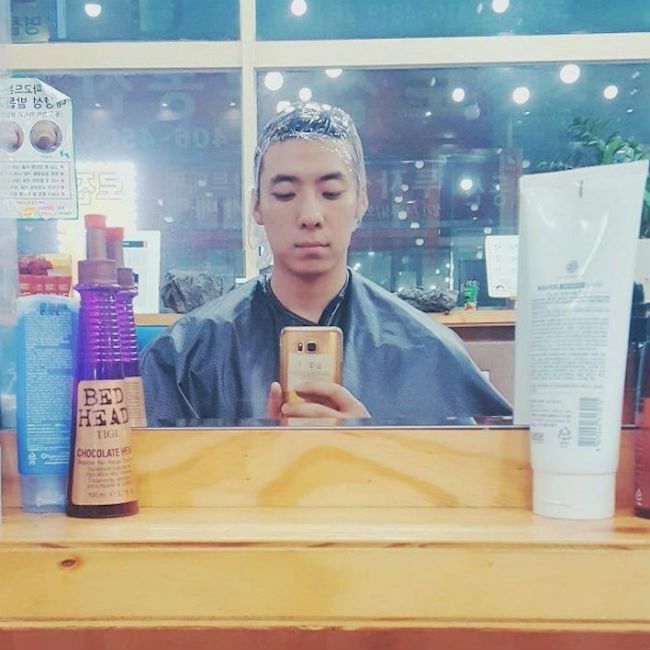 This is necessary, especially when you are attempting to dye your hair at home. Experts at Renee Rouleau say "the side of the neck is a good starting point for true compatibility because it’s thinner and generally more reactive. The idea is that if it can be tolerated on your neck, then you can feel confident that it will be okay on the face. Also, should you encounter a negative reaction such as an itchy, red rash, you might want it to appear on the neck rather than on your face." Wait 24 hours after a patch test to ensure that you do not have a reaction, as allergies develop more slowly for some than others. Do not skip this step. 2. Research the ingredients label. Don't assume that because a product is sold in stores that it will be safe for you to use. Our bodies react to chemicals in different ways, and people with compromised immune systems should take extra precaution, as they are at risk for not having the ability to fight off infections or allergic reactions as easily. 3. Keep up with new formulations from your favorite brands. Just because you have used a brand once (or many times) does not mean that you can blindly trust that it will work for you. Brands are regularly reformulating their products, so make sure to stay aware of current package labeling. 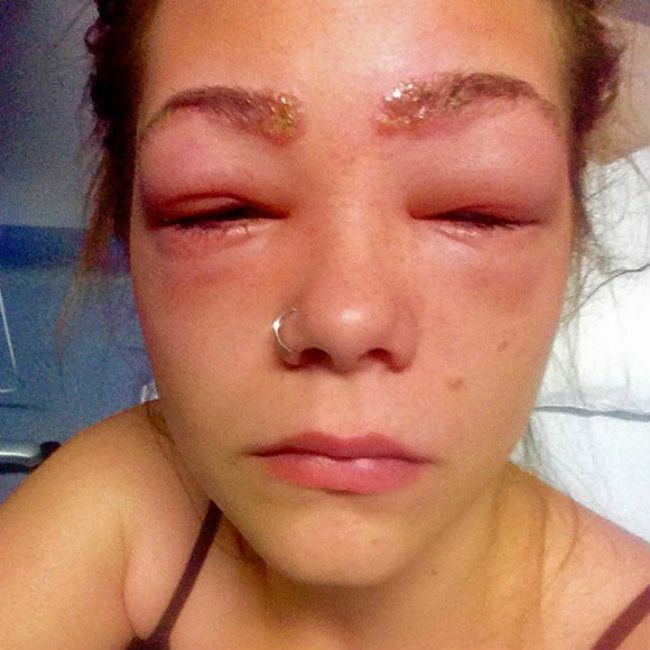 Have you ever developed an allergic reaction to hair dye?